Bring the toys! Great opportunity to have your new manufactured home installed with no HOA. Septic, electricity & a concrete driveway is already there along with a large cleared lot and a big shade tree! Plenty of room for your RV and boat. Excellent spot for snowbirds to watch launches, to live near the beaches & not far from Orlando. 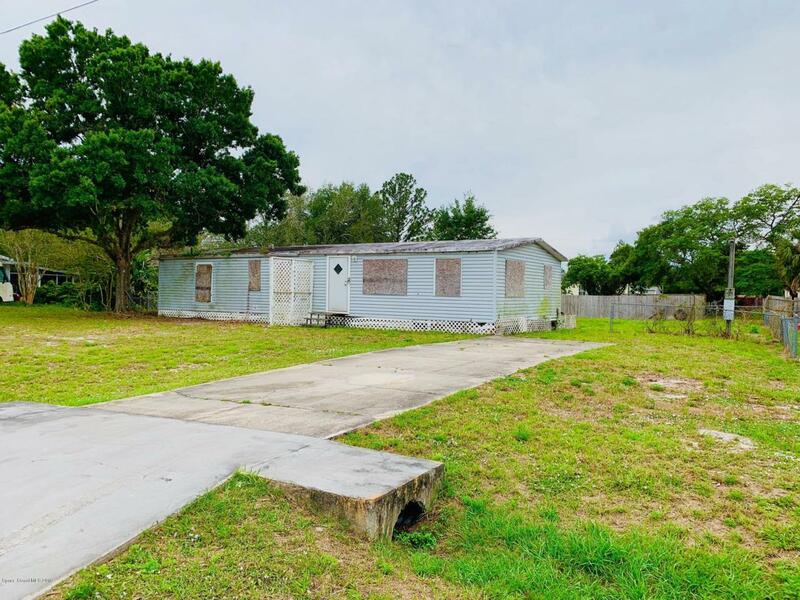 Seller says existing structure is in disrepair.